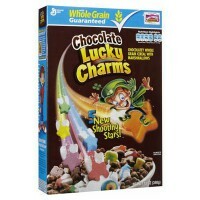 Lucky Charms...They're "magically delicious"! 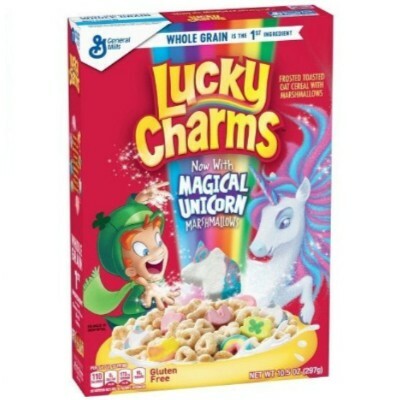 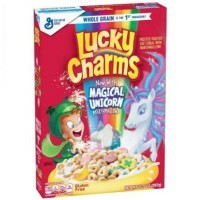 American children and adults alike go crazy for this sweet, frosted oat breakfast cereal with colorful marshmallow shapes inside. 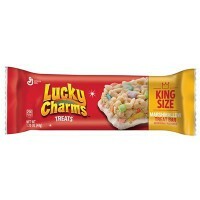 Made with whole grain and fortified with 12 vitamins and minerals, Lucky Charms cereal makes for delicious breakfast bars and trail mix, and can be eaten straight out of the box. 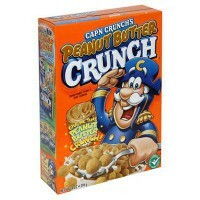 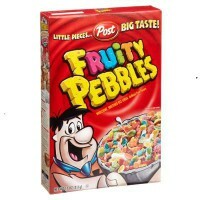 An iconic American cereal! 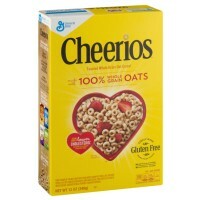 Nutrition facts (for 100g): calories 407Kcal, total fat 3.7g (saturated fat 0g), total carbohydrate 81.5g (sugar 37g), protein 7.4g, salt 1.6g.